I imagine most of you have played at least one or two of Telltale’s choice-driven narrative games, but the newest Humble Bundle is a great excuse to try out more. 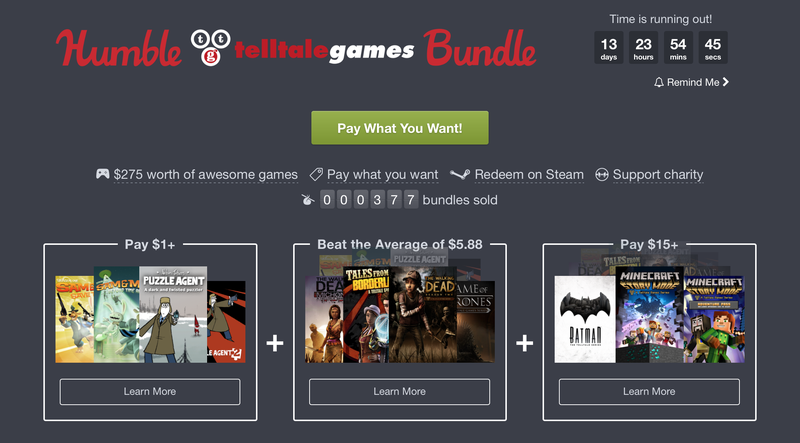 Just $1 gets you a lot of the studio’s earlier work, including the first season of The Walking Dead, paying more than the average unlocks the likes of Game of Thrones and Tales from the Borderlands, while $15 gets you Batman and Minecraft: Story Mode. As always, a portion of the proceeds go to charity, so make the choice to buy this bundle; you won’t regret the consequences.